Some interesting inscriptions on stone have been brought to light in Texas (USA). 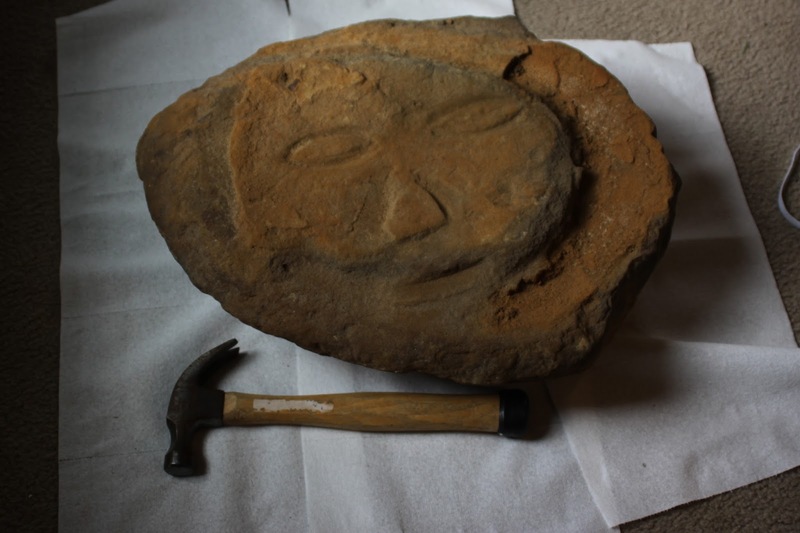 They were found in Rockwall, a town which has an ancient rectangular wall (6 x 3.2 miles); it had a hot spring and a cold spring inside the enclosed area. Situated near Dallas, it is accessible via the Trinity River, which flows down to the Gulf of Mexico. There is now no reason for denying the fact that three thousand years before Columbus and his little boats reached America, ships from the Mediterranean region were already crossing the Atlantic Ocean. 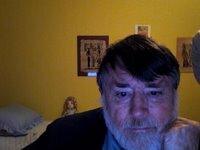 The accumulation of evidence is overwhelming, although each piece is regularly dismissed as nonsense or coincidence. John Carr and John Lindsey have studied the archaeological evidence: they suggest that the wall has similarities to the infill walls of Canaan (Syria-Palestine) in the Bronze Age. 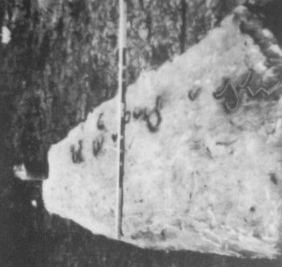 The Sanders Stone was pulled out of the wall in 1955; it was 35 feet below the surface; it has now disappeared but photographs exist. In the middle of the line of writing is a clear ox-head with horns, which we may assume to be an Aleph/Alpha. At the beginning of the text (far right) is a W-shaped sign, the original Shin/Sigma. The penultimate character (on the left side) looks like a hand with fingers, and it might be Kaph/Kappa. 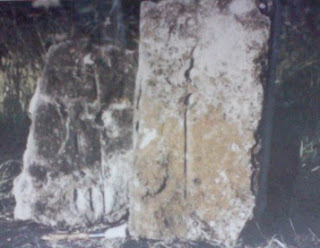 At the bottom of the Hanby Stone on the left, there is another such K. Above it there is possibly a wavy line for the letter M. Reading from the top, the first character might be a snake, an erect cobra, and thus N; beneath it is Q (from qaw, a stick with a measuring cord wound around it); then B, a house (a simple square, showing the ground plan of the dwelling). These two Hanby stones were found under the Hanby house (built in the middle of the 19th Century). The one on the left has the shape of a round-topped stela, which is typical of the ancient civilization in the Mediterranean world, and is also found in the Olmec culture of Mexico; this is one of many indicators of contact between Americans and Mediterraneans in the Bronze Age (before 1200 BCE), together with pyramids and ziggurats, cylinder stamps and flat stamps, and writing systems. The script or scripts represented here could be West Semitic (syllabic or/and alphabetic). One question is: what was the attraction that brought Phoenicians to this particular place; was there a silver mine, as in Kongsberg in Norway? N Q B M K "mine tunnel"
Found about 4 miles south of the wall.